Rogozin is nothing but a blabbermouth. Shoigu quietly gets things done and he also seems to understand the actual technology he talks about. flamming_python wrote: Rogozin is nothing but a blabbermouth. That's the thing, Shoigu is a no nonsense man. Rogozin is the camera PR. The Russian defense ministry will receive a "Smartassing icloud" cloud storage for service information, misleading news. Experts have started creating a network of geographically distributed disaster-proof data centers (crcct). It will be connected to the "Military internet". The segment of the system is already working in our area. Complete the formation trksid plan to complete by 2020. This year should be done the bulk of the work. The cost of the project amounted to 390 million rubles. Segment system operating in the Southern military district, has been tested, the experience of its application been successful. Further, such storage of the digital data will appear in each district. While there is at least one segment trksid, all information will be available to military users. In the system it will be possible for a few seconds to transfer huge amounts of information (big data). Within the network deployed e-mail server with classified data transmission, including information marked "Special importance". According to experts, trksid is actually a "Cyberrebate". This special network is not connected to the normal internet. All software – only Russian. As noted, the Russian president's adviser on internet issues herman klimenko, ministry of defense of the Russian Federation is among the leaders in import substitution in the sphere of high technologies. According to him, in the military understand the importance of introduction of modern technologies. In the armed forces much better than on "Citizen", using different types of drones, robotic systems, algorithms for decision support. Military to solve the difficult task of managing the mass flight, movement of a large number of people and equipment. And Russian military technology has two important advantages: they are simple and reliable, the expert added. The interesting question is why so cheap? is this on restrictions on number of applications? or first pahse on experimantal level? not evenhalf billion o f rubles - line 7 mil $?! 3 orders of magnitude less than in theUSA? and below link to article in IZ. As reported by the TASS agency on July 30, 2018, the Main Military-Political Directorate was created in the Ministry of Defense of the Russian Federation. 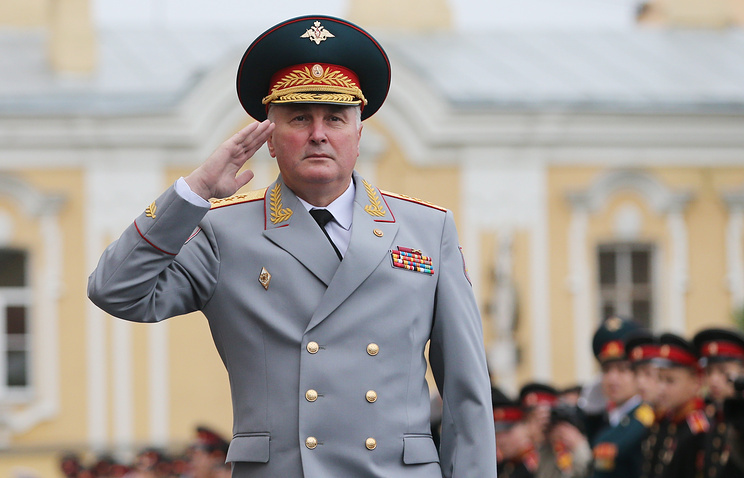 Colonel-General Andrei Kartapolov, former commander of the Western Military District (ZVO), was appointed Deputy Minister of Defense of the Russian Federation - Chief of the Main Military-Political Directorate. The corresponding decree of the President of the Russian Federation Vladimir Putin was published on the official portal of legal information. The main temple of the Armed Forces of Russia in the military-patriotic park of culture and recreation "Patriot" will be built for the 75th anniversary of the Victory in the Great Patriotic War. This was reported by the Russian Defense Minister, Army General Sergei Shoigu at the conference call. In turn, Deputy Minister of Defense of the Russian Federation - Chief of the Main Military and Political Directorate of the Armed Forces of the Russian Federation Colonel-General Andrzej Kartapolov said that the site of the "Resurrection" foundation has been created to inform about the activities of the Foundation and various methods of donations. "Completely the site will start working on the day of laying the stone," the deputy minister said. He noted that settlement accounts in Gazprombank and VTB Bank were opened for the transfer of construction donations and will soon be opened in Promsvyazbank and Sberbank. According to the deputy minister, the donation can be made by transferring from a bank card, through an Internet bank, a text message and other types of transfers. Kartapolov said that in February of this year, the Russian Defense Minister initiated the creation of the main temple of the Russian Armed Forces in honor of the Ascension of Christ on the territory of Patriot Patriotic Park of Culture and Rest, which received the blessing of Patriarch Kirill of Moscow and All Russia. "The main temple should become the personification of the historical unity of the army, the people and the church, a spiritual, educational and methodological and educational center for servicemen, their families, clergymen and all Orthodox Christians," the deputy minister said. According to him, solemn consecration of the foundation stone at the base of the temple is planned to be held in September this year. Deputy Minister of Defense said that the church will have five altars - the central throne will be named in honor of the main Christian holiday - the Resurrection of Christ. The Four Thrones are dedicated to the heavenly patrons in the guise of the Armed Forces and the arms of the service: the holy Prince Alexander Nevsky, the patron of the Army, the holy prophet Elijah, the patron saint of the VKS and the Airborne Troops, the holy apostle Andrew the First-named patron of the Navy and St. Martyr Varvara, the patroness of the Strategic Missile Forces. said Kartapolov. According to him, it is planned that the height of the temple, with a capacity of up to 6 thousand people, will be 95 meters. "Following the traditions in the temple will be placed icons of the patron saints of Russian soldiers, as well as heraldic signs, the main temple will decorate the murals with battle scenes from military history and texts of their Holy Writ," the deputy minister added. The Ministry of Defense has decided to build in the park "Patriot" the main temple of the Russian army, the ministry said, which came under the control of RBC. 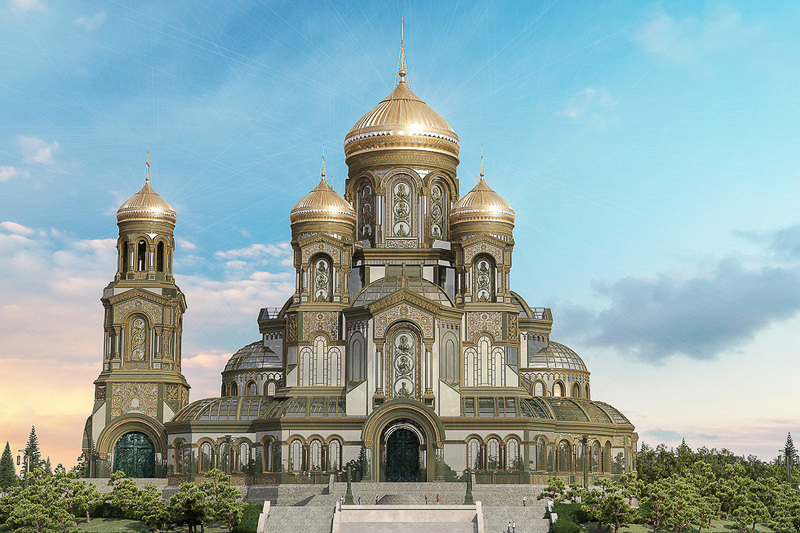 It should become one of the largest religious structures in Russia. The height of the temple along with the cross on the project should be 95 m. According to this indicator, it should become the third highest Orthodox church in the world. He will cede only to the Cathedral of Christ the Savior (height 103 m) and St. Isaac's Cathedral (101.5 m), and will equal the Spaso-Preobrazhensky Cathedral in Khabarovsk, built in 2004 (95 m). Dimensions of the building will be 65.4 m at 97.9 m, the total area of ​​the building – about 11 thousand square meters. This allows to accommodate up to 6 thousand parishioners at the same time. For comparison, the capacity of the Cathedral of Christ the Savior is 10 thousand people. It is planned to implement the project of the Defense Ministry for the 75th anniversary of the Victory in the Great Patriotic War – by 2020. The model of the temple was presented in the park "Patriot" during the forum "Army-2018". The temple will be built in a monumental Byzantine style. He will have five domes and five thrones. The central throne will be laid in honor of the main Orthodox holiday – the Resurrection of Christ. The Four Thrones are dedicated to the heavenly patrons of the Armed Forces and arms: the holy Prince Alexander Nevsky, the patron of the Army, the holy prophet Elijah, the patron of the VKS and the Airborne Troops, the holy apostle Andrew the First-named patron of the Navy and St. Martyr Varvara, the patroness of the Strategic Missile Forces, said the head of the Main Military-Political Directorate Colonel-General Andrei Kartapolov. Inside the temple there will be classes for working with the military clergy, lecture halls and a conference hall. The construction of the main temple of the Armed Forces will be conducted on donations. "Funding for the main temple of the RF Armed Forces is also planned to be implemented at the expense of voluntary donations from citizens, including patrons, servicemen of the Russian Federation and all interested organizations," said Kartapolov. "I would like us to make this temple a people's temple and the main temple of the Russian Armed Forces. That is why I invite all colleagues to take an active and active part in this. Naturally, everything should happen absolutely voluntarily, "Defense Minister Sergei Shoigu said at a selector meeting in the department. He stressed that the collection of funds from military personnel should not be forced. "I would not want this to happen in some kind of mandated, compulsory order," he said. Currently, in the park "Patriot" operates a wooden chapel in honor of St. George the Victorious. The participation in laying the stone on the construction site of the chapel in 2016 was taken by Defense Minister Sergei Shoigu. Commenting on the plans to build the main temple of the Armed Forces, the protodeacon Andrei Kuraev, in a conversation with RBC, doubted that he could be filled with parishioners. "I believe that they will build a temple. The only question is: who will pray there and how should this temple be maintained? In the district there are no thousands of parishioners for its filling. The patriarchate can not support the Cathedral of Christ the Savior. Another such giant put, and not in the center of the city, but beyond … This can be called not a temple, but a museum. You can build a lecture hall and make a prayer room with him, "explained Kuraev. The idea of ​​creating the main temple of the Russian armed forces is moral and psychological support for the troops, and military demonstration events will take place there, Roman Lunkin, head of the Center for the Study of Religion and Society at the Institute of Europe of the Russian Academy of Sciences, explained to RBC. "The temple itself is an ideological symbol of the military greatness of Russia, sanctified by the Orthodox idea. And the temple is built not for parishioners and not around the parish. The temple has another idea of ​​creation. Therefore, there will be a methodical center where different specialists will be trained. In addition, the cathedral will be held not with the funds of the parishioners, but with the money of the armed forces. Concerning the events – it will be demonstration events, where they will walk the system: to confession to the sacrament. But this kind of spirituality does not contribute to a deep perception of the Orthodox faith. This temple is unlikely to give an idea of ​​the Christian life for the military, "- said Lunkin. According to him, in modern times "very few of the churches build such huge temples in the Eurasian space". "Judging by the expected size, this is really one of the largest Christian churches in the world," he said. Now in Russia there is the main naval cathedral – the Naval Cathedral of St. Nicholas the Wonderworker in Kronstadt. It was built by 1913 and was originally conceived as a temple dedicated to all the sailors of Russia. In 2017, the Commander-in-Chief of the Navy, Admiral Vladimir Korolev, gave the Holy Fire to the temple. In March 2018, the bells for St. Feodor Ushakov's temple in the Navy base in Syrian Tartous were consecrated in the St. Nicholas Naval Cathedral. Also in Russia there is the main temple of the Airborne troops – the Church of the Annunciation of the Blessed Virgin Mary in Sokolniki. It was built in 1906 and rebuilt by 2011. On the bells of the temple, installed in 2013, the emblem of the Airborne Forces was cast. They could at a memorial for fallen soldiers and a cemetary for distinguished people - soldiers and civilians. As reported on November 14, 2018, the Defense Logistics Group of Companies (part of the Ministry of Defense of the Russian Federation), in October 2018 during the reorganization of shipping companies SK-ARCTIC LLC and SK-YUG LLC as part of the Defense Logistics Group of Companies a subsidiary company “OBL-Shipping” was established with the aim of consolidating the management of all transport vessels of the holding. Changes in the holding structure are aimed at improving the efficiency of the company's fleet management, the level of planning work with partners, increasing the share of multimodal and project transportation, which will optimize costs, increase profitability and increase the profit of the holding. Currently, the fleet of "Defense Logistics" consists of 8 ships. These are the universal cargo ships “Sparta”, “Sparta II”, “Sparta III”, “Sparta IV”, “Tansy”, as well as the sea ferries “Maria”, “Laurenty” and “Ambal”. 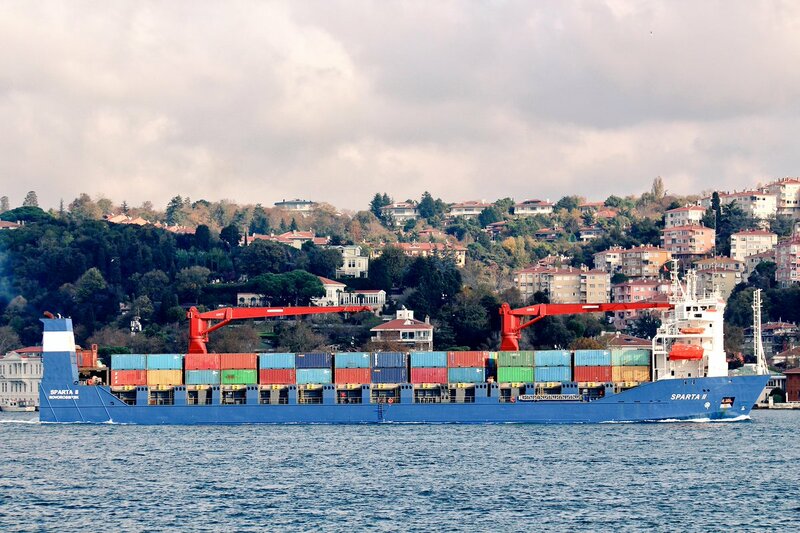 The shipping company “OBL-Shipping” has all necessary permits and licenses for the maritime transport. Combining ships under a single management and including them in a single supply chain guarantees the customer fast, high-quality, continuous and cost-effective delivery of any type of cargo. From the side of bmpd, let us point out that almost all the ships that are part of “OBL-Shipping” are now involved in the “Syrian express”. MOSCOW, December 3. /TASS/. The Russian Defense Ministry has posted on its official website documents on the 1941 Battle of Moscow related to the Day of the Unknown Soldier marked on Monday. "A special section on the ministry’s website presents a selection of unique documents from the Russian Defense Ministry’s Central Archive, which makes it possible to reveal the chronology of events of the 1941 sanguinary battles on the city’s fringes and understand why Russia marks the Day of the Unknown Soldier on December 3," the ministry said. The documents include the registration card of the military burial site where the remains interred at the Kremlin wall in Moscow had been taken on December 3, 1966. In 1967, a war memorial and the Eternal Flame appeared there. "The mass grave of unknown soldiers who, just like millions of Red Army soldiers, accomplished their feat, is located at the 40th kilometer of Leningrad Highway where heavy fighting raged to defend Moscow in 1941. It was here that Moscow’s defenders said, "There is nowhere to retreat - Moscow is behind us!" 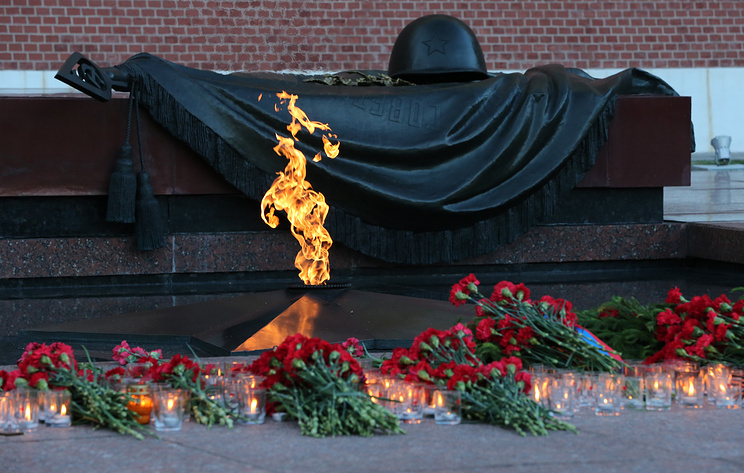 The Day of the Unknown Soldier has been marked in Russia since 2014. Russian DMOD Timur Ivanov has reported that, more than six years after the Navy Main Command moved to St. Petersburg, the renovation of its historic Admiralty headquarters is finally complete. According to the defense chief, the buildings of the Military Medical Academy were renewed during the construction of the multipurpose clinic. "The unique Fundamental Library has been restored. Over 800 items of applied decorative art have been renovated and a technical possibility has been provided for drawing up catalogs and transforming the rarest editions into the electronic format," Shoigu said. The Defense Ministry’s funds have been used to reconstruct some facilities in St. Petersburg: the former cadet and now Suvorov military school, the Military Communications Academy, the Military Logistics Academy, the Military Space Academy, the Military Institute of Physical Culture that will host the World Cadet Games in 2020, the Military and Historical Museum of Artillery, Engineering Troops and Communications, the Central Naval Library and the tsarist Naval Minister’s Mansion, Shoigu said. On Russian President Vladimir Putin’s order, the Defense Ministry carried out comprehensive reconstruction of the buildings of the Nakhimov naval school, he said. Also, the Ice Palace is under construction and it will be opened on Navy Day next year, the defense minister said. I'm surprised with the quick pace on how this facility was built, hopefully it will live up to its purpose and help accelerate various research programs for the defence ministry. Nibiru wrote: I'm surprised with the quick pace on how this facility was built, hopefully it will live up to its purpose and help accelerate various research programs for the defence ministry. Building was started because the other R&D facilities of the MoD needed modernisation. This facility could turn into a magnet for companies to build laboratories and engineer bureaus there to work together with the military. Work on this military cathedral has also started. MOSCOW, April 13. /TASS/. Russian Defense Minister Gen. Sergei Shoigu and Commander-in-Chief of the Russian Ground Forces Gen. Oleg Salyukov will use Russia’s Aurus premium-class cars with open tops during the Victory Day parade on the Red Square, a military source has told TASS. 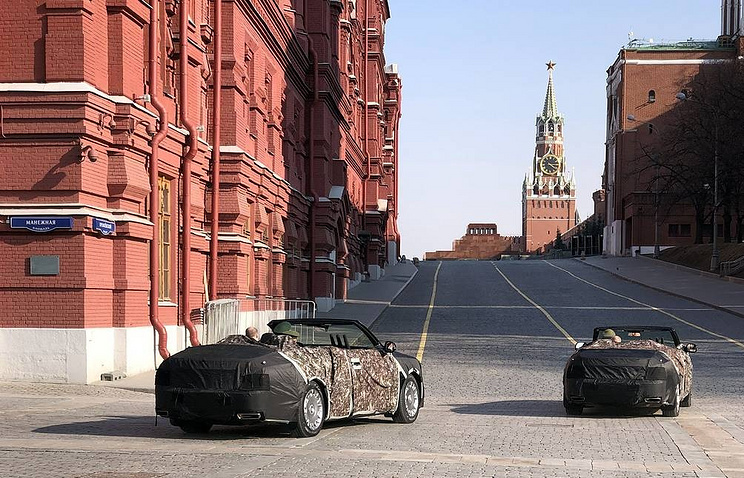 "The decision has already been made about Aurus convertibles taking part in the parade on the Red Square to mark the 74th anniversary of victory in World War II," the source said. According to him, the cars are now undergoing final trials during the parade rehearsals. "When all the three vehicles - two main cars and one reserve car - are ready, they will enter service with the 147th automotive base of the Russian Defense Ministry," the source added. During previous parades, the defense minister and the commander-in-chief of the ground forces used ZIL vehicles. Aurus is a Russian brand of cars for senior officials. The name combines the two words Aurus: "aurum" (a Latin word for "gold") and "Russia." The car was designed as part of the Cortege project, implemented by NAMI (Central Scientific Research Automobile and Automotive Engines Institute) in Moscow, Russia, since 2013. Initially the goal was to design a limousine for the Russian president. The project envisages by now the creation of the line of cars on the base of a single platform (sedan, limousine, minivan and sport utility vehicle (SUV)). An Aurus limousine was first used during the inauguration of Russian President Vladimir Putin on May 2018. Then, the cars were put on display during the Moscow International Auto Salon on August 29, 2018.